Where can i get a male one of those? I mean I know they are in Africa, but where can I get them from? I got mine off of Ebay. They can be VERY expensive, especially after they get over 100mm. I was lucky to get mine at a pretty good price for the size. Make sure you know the size, they are not all this big. There are 5 species. Mine are Goliathus goliathus. 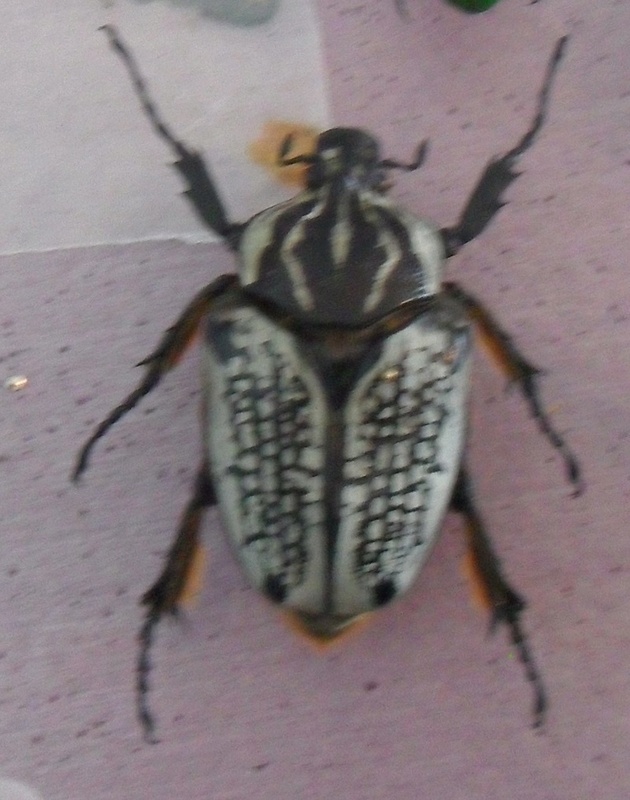 They, along with Goliathus orientalis, are the cheapest for the size. 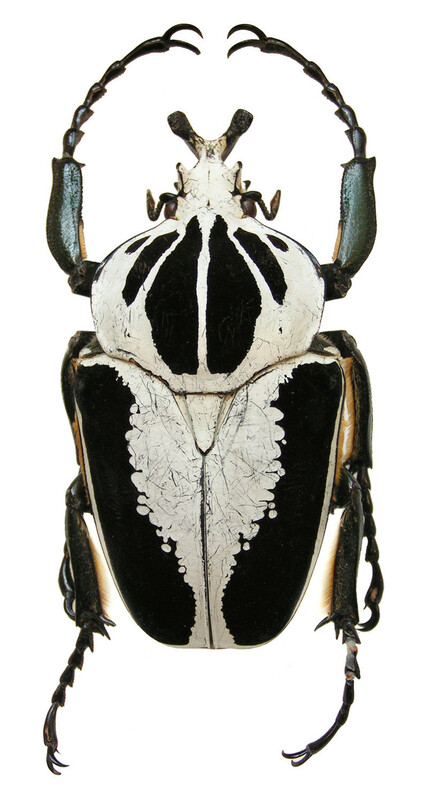 Goliathus regius (My Favorite) and Goliathus cacicus are the most expensive but very large. Goliathus albosignatus is the smallest and also the cheapest. @mothman27 wrote: I got mine off of Ebay. They can be VERY expensive, especially after they get over 100mm. Thank you very much, I am actually really interested! Of course it would be cool to have one alive too! I think you would need a permit to get them live, otherwise that would be awesome. 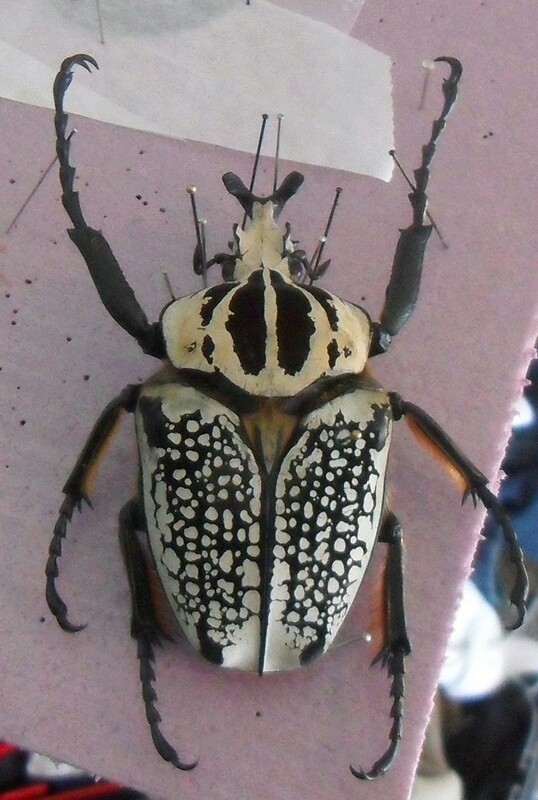 Well people do breed Goliath beetles in captivity, mostly in Japan where it's legal but I'm certain there are hobbyists in the US breeding them as well, secretly of course since it's illegal here in the states. 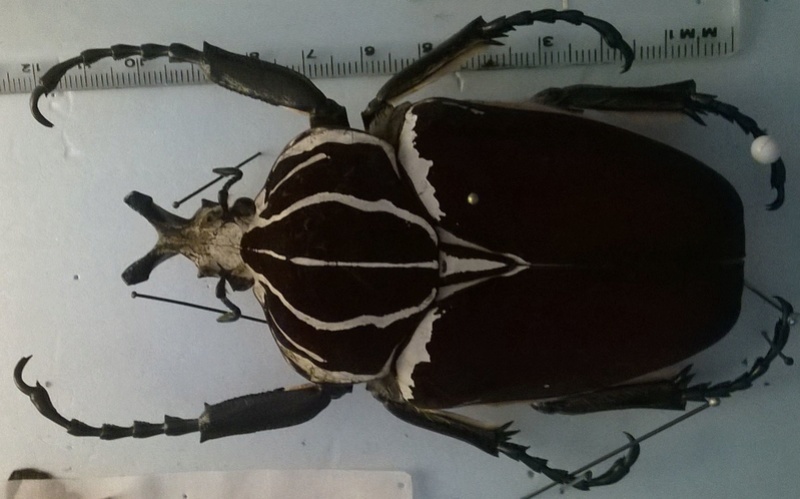 Their cost seem to indicate supply and demand, any thoughts as to the fate of large beetles in general in the wild,,, any of those beetles that bring high prices? @Insect Rod wrote: Nice pair of goliath. I would guess birds and insect eating mammals. Very Nice beetles. They are in good condition as well. Nice to have established stock that could be introduced back as needed. They rank about the same for me. My favorite is G. regius, also happens to be much more $ so I don't have any yet. I think so too. Some like the cacicus too. I personally like it but not as much as regius, it looks somewhat dirty or rusty too me.